When Starbucks or Wal-Mart or Home Depot comes to town, how can a small business successfully compete? That's a tough question, one that's been the subject of numerous magazine articles, Internet blogs, and doctoral theses. One strategy that doesn't work is doing nothing -- sitting back to watch what happens. By the time your rival's doors open, it may be too late to prevent your profit margins and market share from disappearing. While one answer doesn't fit all cases, certain strategies have proven effective for many small firms. * Compete on your own terms. 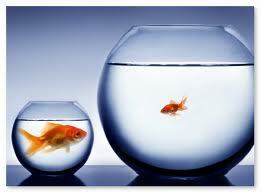 As a small business, it's unlikely you'll be able to compete with larger competitors on the basis of price alone. Give your customers something other than bargain prices. * Capitalize on your advantages. Establish close bonds with customers and provide services tailored to their individual needs. If you own a hardware store, for example, you might provide free delivery and assembly for some items. The key is to develop innovative ways to satisfy your customers' needs and retain their loyalty. * Hire (and keep) the best employees. Small businesses can be great places to work. By providing in-depth training and an enjoyable work environment, your employees will generally return the favor by treating customers well. On the flip side, we've all met staff at nationwide chains who were inattentive or just plain rude. Small businesses can't afford to ignore complaints or allow poor customer service. Don't let one obnoxious employee create a bad reputation for your business. * Expand your sources of revenue. Maybe you own a coffee shop and Starbucks is moving in. Don't throw in the towel. Add catering to the services you offer. If a larger competitor comes to town, you may lose some market share, but new sources of revenue can offset those losses. * Differentiate your product or service. Maybe you provide fresher produce because it's grown locally. Or perhaps you offer specialty items that the other guys don't carry. Let your customers know about these differences, and they'll come to you when something special is needed. Remember, there will always be room in the marketplace for firms -- whether big or small -- that provide quality products at a reasonable price and friendly knowledgeable service. 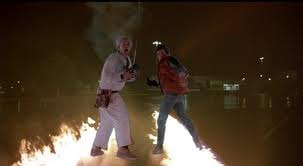 You can reach into the past and future to cut your taxes. How? Through the use of tax carryforwards and carrybacks. Here is what you should know about these tax savers. But there are a few twists to the NOL rules. If your NOL is the result of a theft or disaster, you may be able to carry it back three years. An NOL from farming can be carried back five years. And you may opt to apply all your NOL to future years only, which might not be a bad strategy if you expect to be taxed at higher rates in future years. It's not too late to make contributions to an IRA for 2012. You can establish and contribute to a 2012 IRA as late as April 15, 2013. If the IRA is the traditional, tax-deductible kind, you can deduct your contributions on your 2012 tax return. If you're under age 50, the maximum contribution is $5,000; if you were 50 or older by December 31, 2012, you can contribute up to $6,000. The "charitable IRA rollover" rule was extended through 2013, permitting taxpayers who are 70½ or older to use their IRA to donate up to $100,000 to charity. The donation must be made directly from the IRA to the charity, and it counts as part of the taxpayer's required minimum distribution for the year. If you turned 70½ in 2013, remember that you're now required to take a minimum distribution from your IRA (and, unless you're still working, from other retirement plans also) every year. If you delayed taking your first distribution last year, you have only until April 1, 2013, to take it or you'll be subject to a 50% penalty on the amount you should have taken. 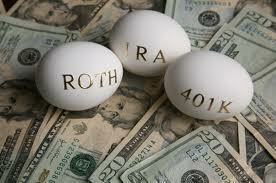 Converting a traditional IRA to a Roth IRA is still an available option for all taxpayers. Although a conversion will generate taxable income in the year you do it, later qualifying withdrawals from the Roth will be tax-free. Your conversion opportunities are not limited to just traditional IRAs. You can also convert your 401(k), 403(b), or 457 plan to a Roth. Are you giving the IRS an interest-free loan? To prevent losing money on tax refunds, consider reducing your withholding or estimated tax payments. 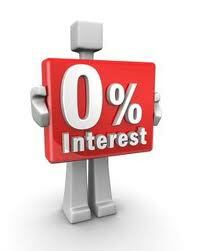 For most taxpayers, withholding must equal either the prior year's tax or 90% of the current year's liability. If your annual income changes little, it's relatively easy to avoid overwithholding. You should consider filing a revised Form W-4 withholding statement with your employer if you're having too much withheld. For taxpayers with fluctuating income or multiple sources of income, the problem is more complex. The IRS provides a worksheet with Form W-4, but many people find the form complicated. If you'd like assistance adjusting your withholding, contact our office. The filing status you choose when you file your 2012 tax return will affect the tax breaks you'll qualify for, your standard deduction amount, and ultimately the amount of tax you'll pay. 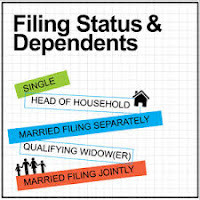 Are you single, head of household, married filing jointly, or married filing separately? Here are seven facts that will help you choose the right status. 1. Your marital status as of the last day of the year is your marital status for the entire year. 2. If you qualify for more than one status, choose the one that results in the lowest tax liability for you. 3. Single filing status is likely to be your filing choice if you are not married or you are divorced or legally separated. 4. Married individuals can file a joint return. If your spouse died during 2012, you generally may still file a joint return for 2012. 5. Married couples may file "married, filing separately" if they choose. 6. "Head of household" status is available to you if you are not married and you paid more than half the cost of maintaining a home for yourself and a child. 7. The status "qualifying widow(er) with dependent child" is available if your spouse died during 2010 or 2011 and you have a dependent child. Other conditions may apply. Tax Tip: Save energy! Save taxes! If you haven't already taken advantage of the tax incentive for energy-efficient improvements to your home, 2013 may be the year to install furnaces, windows, doors or skylights. 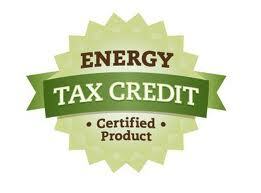 Qualifying purchases are eligible for a federal credit which can reduce your tax liability by up to $500. * You filed more than one tax return, or someone has already filed using your information. * You owe taxes for a year even though you didn't file a return because you weren't required to file. * You were paid wages from an employer where you did not work. If you get such a notice, the IRS wants you to respond immediately so that they can correct the problem and secure your tax account. 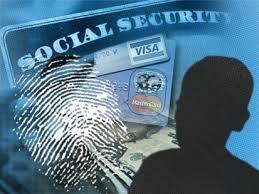 The IRS has made preventing identity theft a top priority this year. Here's what identity thieves have been doing: They steal a taxpayer's personal information and use it to file a tax return claiming a refund under the taxpayer's name. Then when the taxpayer actually files a return, the IRS won't accept it and notifies the taxpayer that a return under his name and ID number has already been filed. * Guard your personal information. Identity thieves can get your information by stealing your wallet or purse, going through your trash, or posing as someone who needs your information for a legitimate reason. * Watch out for IRS impersonators. Don't fall for phone calls, faxes, e-mails, or other contacts made by people claiming to be from the IRS. Don't respond to the message. Don't open any attachments in an e-mail or click on any links. Do not enter your personal information. * Protect information on your computer. 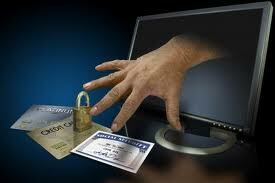 Protect your tax information with a password, and once you're finished with your tax data, take it off your hard drive. Should you directly deposit your tax refund to an IRA? It sounds like a great idea: Have the IRS directly deposit your tax refund into one or more individual retirement accounts (IRAs). In fact, the IRS touts this option as a way to speed up retirement contributions. The whole process is automated and simple. * Wrong account number. Let's say you transpose a couple of digits on your tax return, and those digits happen to indicate which financial institution or which account will receive your refund. If this wrong account number belongs to another customer, that mistake could take weeks or even months to correct. By the way, don't expect the IRS to come to your rescue. They've made it abundantly clear that correct input of financial information on the tax return is the taxpayer's responsibility -- not the government's. * Correction fluid and cross-outs. If the IRS gets your tax return and finds that the routing numbers have been manually revised, your direct deposit request will likely be rejected. You may get an old-fashioned refund check in the mail. * Wrong type of account. It's up to you to verify that your financial institution will accept direct deposits into an IRA. Some banks, for example, will reject direct deposits to anything other than a savings account. * Refund adjustments. Sometimes the IRS corrects a taxpayer's math or makes other adjustments that can affect the refund amount. In some cases, these adjustments may result in a direct deposit that exceeds the allowable IRA contribution amount. If so, you could be stuck with a penalty for excess contributions. Direct deposit of your tax refund can be a hassle-free way to make an annual IRA contribution. But proceed with caution. Double check your return and verify that your bank or credit union will accept direct deposits to an IRA.